Due to the recent recession, many Americans are now looking for alternative careers that will help sustain their lifestyle and give them a steady income. 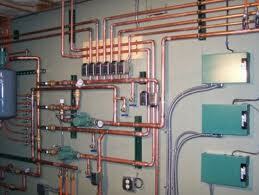 Among these new careers being delved into is HVAC technician work. To become a HVAC technician in any state would mean undergoing training at any community college or career college that offers a comprehensive curriculum on the ins and outs of HVAC. The usual length of time needed to take an HVAC training course is usually two years, but may be shorter or longer depending on the type of school or pacing of the student. Among the subjects covered during the training course would be blueprint reading, installation, repair and maintenance of heating, ventilation and air-conditioning machines. In addition to HVAC technicians being able to install machinery, they must be able to help maintain the efficiency so that these work smoothly for a number of years. This is what regular maintenance entails. Other subjects that are included in most curriculum are basic engineering, mathematics and the like. Students will also be given career advice and taught financial literacy, to help them better deal with employers or individual clients when they graduate and find work with a company or as a freelancer. 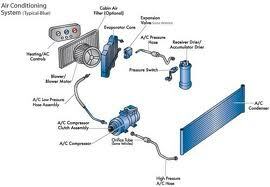 There are several online and onsite schools offering HVAC technician training. Among these are some tried-and-tested colleges that have produced successful graduates over the past few years. Gadsden State Community College offers an associate degree in HVAC technician training, perfect for those students who do not want to spend a full four years just for a degree that will help them change careers. Their two HVAC related certificate degrees are the Air Conditioning and Refrigeration Certificate and the Associate of Applied Science in Air Conditioning and Refrigeration. Alabama Power offers a HVAC training course for interested students. Training can be done immediately in their facility, and it holds a good reputation and success rate of reliable HVAC technicians.